Little boy comes face-to-face with his heroes. ALBUQUERQUE, N.M. – Albuquerque Police Officers gave a six year old the surprise of his life. Officers showed up to a unique photo shoot and posed for pictures with the excited young man. The child is in foster care and was getting photos taken to send to biological family members. When he was asked, he told his photographer that he loves superheroes and police officers. The photographer then reached out to APD for help. 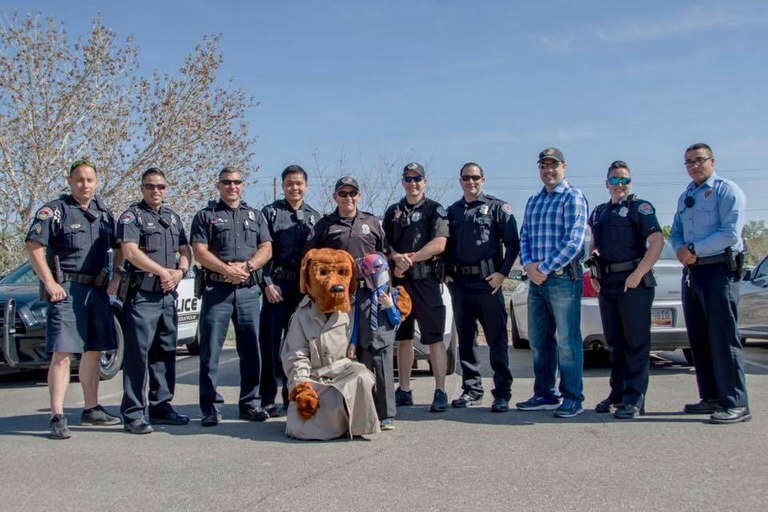 The department wanted to ensure the child had an extra reason to smile big for the camera, so the officers with the Valley Area Command brought their patrol cars and fun gear to set the scene. When the little boy got there, he was overjoyed and we were told the photos came out perfectly. Everyone had a wonderful time, and we were proud to do what we could to help. Because he is in foster care, we are unable to release details of the little boy’s circumstance or his name.